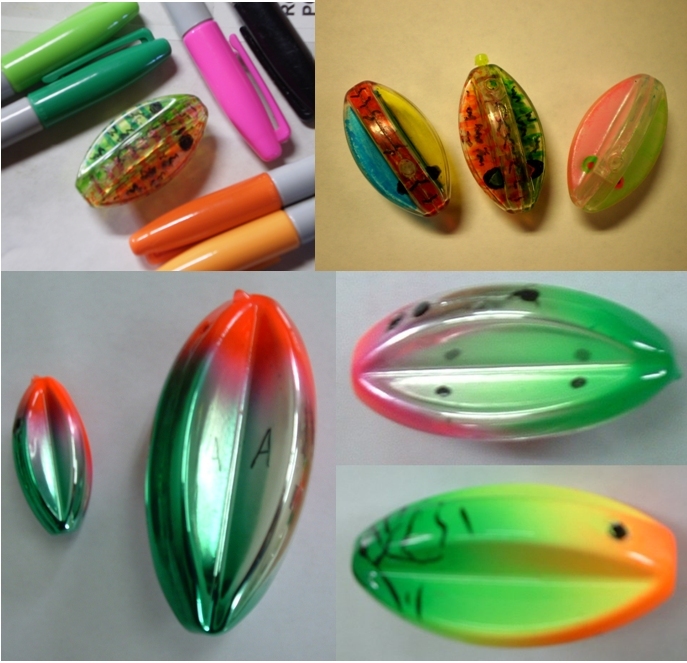 BulletBobber Enterprises doesn't make custom lures but we encourage you to try your hand at it. It is easy! And if you send us a picture of a fish caught on your custom lure we'll show case your catch, you and your talent on this page! We will provide your contact info so you can sell your custom design/s or if you prefer we can add it to our store. Get some Sharpies and get started or go all the way with FLASHY paints!